Community Radio is a special type of radio service that offers a third model of public broadcasting. These radio stations serve on the basis of geographic communities and their area of interest. It is conceptually hundred percent people’s radio. Community Radio broadcast contents those are very much relevant and well-liked to the concerned local audiences. This type of radio doesn’t follow the way of commercial or mass-media broadcasters. These radio stations are functioning, owned, and influenced by the communities they serve. Mostly, this radio station runs as a not-for-profit initiative and provide a mechanism for enabling individuals, group as well as communities to tell their own stories, to share experiences, happiness and miseries, to become creators and contributors of media. All over the world community radio serving people. 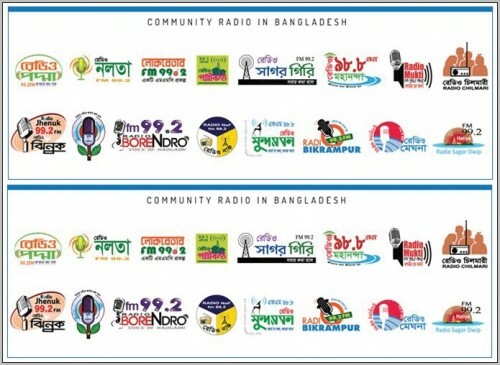 In Asia specially in South Asia there are huge number of Community Radio. We found same kinds of some radios in Bangladesh also.